State Registration for Building Surveyors is now a Legal Requirement. Registered Surveyors have achieved the highest standard of qualification and recognition. 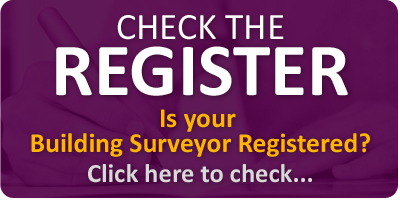 Most Registered Building Surveyors are Building Surveying Division Chartered Members of CIOB (Chartered Institute of Building), SCSI (Society of Chartered Surveyors Ireland), or CABE (Chartered Association of Building Engineers) Members. These three institutions are the main recognised bodies for Building Surveyors under legislation. Suitably qualified and experienced state assessed members of these three institutions, CIOB, SCSI, and CABE are considered as being competent to practice as Registered Building Surveyors. 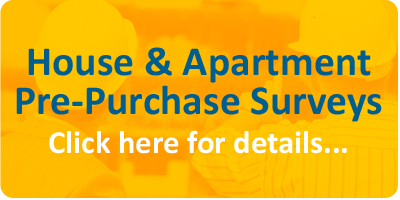 This is why you should only choose a Registered Building Surveyor to Survey your new home! Protection of the title ‘Building Surveyor’ was introduced in the Building Control Act 2007. The use of the title is restricted to suitably qualified persons who have been included on a statutory register. If you work in Ireland as a Building Surveyor it is legally required that you be registered. Registration ensures that all individuals that are registered have achieved a defined level of professional and academic qualifications, and have the necessary experience and competence to practice, and the consumer will benefit from the reassurance that they will receive a quality service. The register includes only those individuals who have appropriate education, training and experience at an appropriate standard, and enables them to use the titles ‘Building Surveyor’.